Musings of a Plant Centre Manager: Early Spring Gems. The cold weather has held things back so much this season. Snowdrops (Galanthus) are only just starting to peek out from their sword shaped leaves. I really like this time of the year when these little gems start to appear. It means that warmer days are not far off! There are so many beautiful forms to choose from. I can see why some people pay hundreds of pounds for the odd and unusual. Galanthus ‘Richard Ayres’ is one of the varieties that we have for sale in the Plant Centre this year. Galanthus ‘Richard Ayres’ is a variety I have wanted for my own garden as it has longer outer petals than the more traditional Galanthus nivalis ‘Flore Plena’ (double snowdrop) and a darker green marking on the inner petals. There is also a green mark towards the throat of the flower. Above: Double Snowdrops (Galanthus nivalis ‘Flore Plena’). We also have a yellow form too, this is Galanthus ‘Primrose Warburg’ which has a distinctive yellow ovary and markings on the inner petals. The yellow forms are always a little slow to bulk up but well worth the wait when they flower. Galanthus look fantastic when under planted around trees such as Betula utilis var. jacquemontii ‘Grayswood Ghost’. This Betula is one of the white stemmed Himalayan Birches. Alternatively consider planting Galanthus under Prunus serrula, the mahogany barked cherry. They also combine well with other small bulbs. Winter Aconites (Eranthis hyemalis) and dwarf Iris, such as Iris reticulata, are some of my personal favourites. Evergreen clump forming Helleborus are a welcome site too. 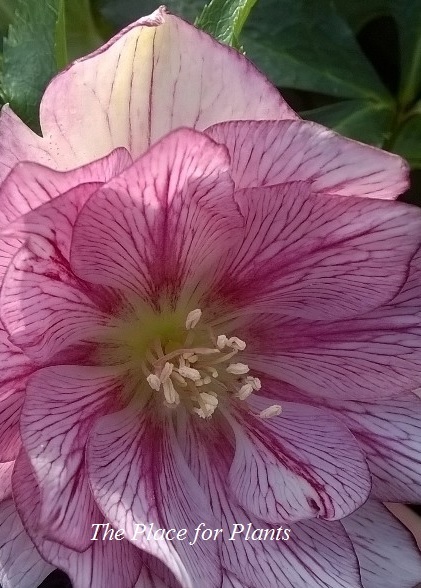 Helleborus prefer dappled shady spots beneath trees. If you want to try growing these beautiful harbingers of spring then all you need is some good leaf mould or planting compost dug in the area. There are many varieties to choose from and the range of colours expands every year. Here are a few that you might like to try: Helleborus ‘Painted Bunting’ which is a real stunner with delicately tinted off-white single flowers. Beautiful mauve-pink staining gets darker towards the centre of the flower. 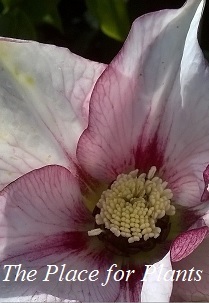 If you prefer a more ‘blousy’ flower then maybe one of the double forms would appeal; Helleborus ‘Lily’ is a lovely form which has mauve-pink petals with darker veining and flowers profusely in my garden. While the peachy-cream flowers of Helleborus ‘Sparkle’ are always showy and they contrast nicely with the thick, leathery, grey-green, evergreen leaves. Planting Snowdrops– It is always best to plant Snowdrops ‘In the Green’ which means when they are actively growing. They should be planted at the same depth they were grown in the ground or pot which is usually double the depth of the bulb. It is best to plant them in informal groups so that they look more natural. I always plant mine in small clumps of 3 bulbs and mass them together, planting about 10cm (3-4 inches) apart. You can buy these at The Plant Centre in pots or in bags of bare root bulbs. If you have already got some established clumps of snowdrops that do not flower very well then it is time to dig them up and separate them out. Replant them as above and they should flower better next year. Tree Planting – when planting trees make sure that you add some of the mycorrhizal fungi to the root system. This will attach itself to the new roots as they are produced andhelp the plant absorb more nutrients. Trees planted with this establish faster and they grow away quicker. Come and enjoy the growing season with our wide range of plants, sundries and gift ideas. Activities and timings will be advised nearer the Weekend.